Looking for a fresh start following her retirement, the client moved back into the small mid-century modern house where she grew up. But she wanted more space for herself, her guests and her dogs, more connection with the beautiful wooded lot and a quiet base for her advocacy work. The small structure became part of a much more extensive design - honoring the beauty of the site and reflecting the client's personal architectural sensibilities alongside the timeless values of design with nature. A 9,000 SF suburban mansion had fallen into disrepair. The client, an exuberant hostess and supporter of political causes, had moved her family often and was undaunted by the condition of house. The architects worked with her to renovate the entire building, and to coordinate fixtures, finishes and textiles. As the family inevitably moved on, the architect subsequently assisted her in personalizing houses in three states. As part of Habitat for Humanity's national Women's Build project, the firm designed a pair of houses in Germantown for Habitat Philadelphia. The architect worked with the Planning Commission to incorporate porches in order to turn the corner from a well kept residential street to a main street that has been plagued with drug problems. Materials and details were chosen with volunteer labor in mind. 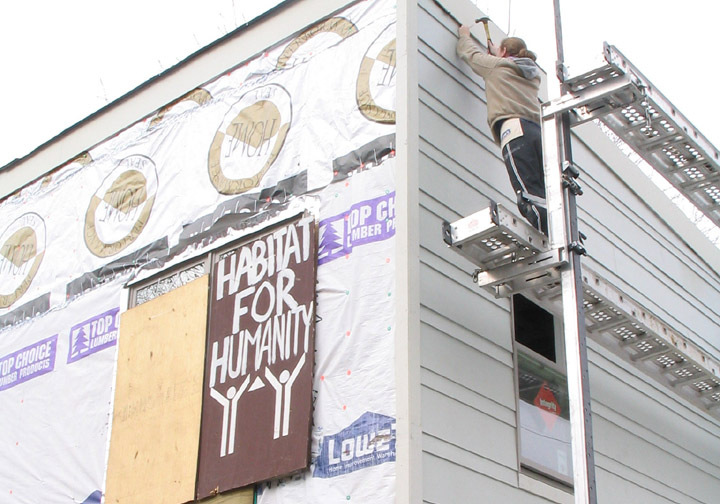 The firm has been proud to support the good work of Habitat for many years. A young city planner and New Urbanist living right in the heart of Philadelphia wanted to renovate her rowhouse to with warm natural materials and design touches to remind her of her world travels. The kitchen was moved to the center of an open first floor plan and a large second floor deck was created to take advantage of spectacular city views. A couple, one of several repeat clients, were ready to leave their house in the suburbs, renovated by Bolender Architects. Their apartment in a new building overlooking the Square needed minor interior changes to accommodate the couple and their guests, but the work primarily involved choosing furniture for the whole apartment, window treatments, lighting, a color palette and art placement. Two custom living room pieces were made by a New York artisan using timbers salvaged from the Academy of Music during its structural roof repairs. 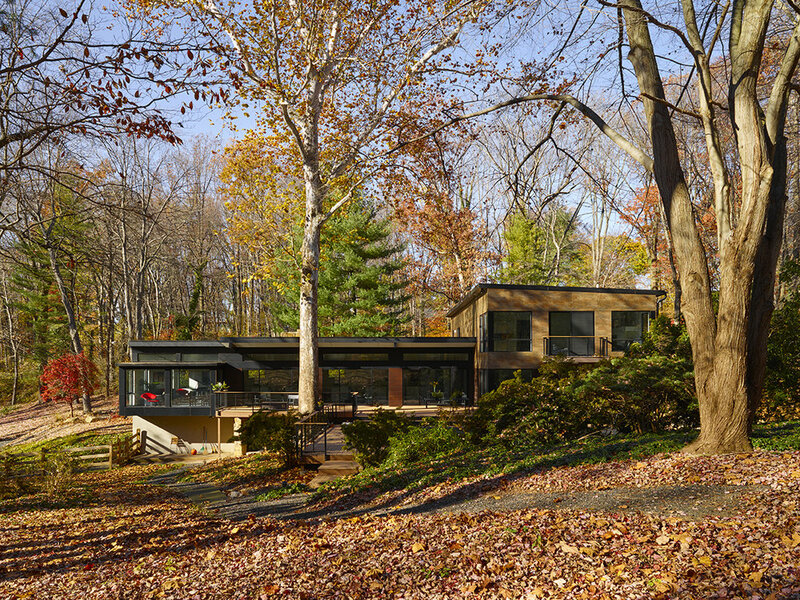 A curator/author and a public interest lawyer/dancer with an exceptional collection of Outsider Art brought a long history of involvement with the arts to the renovation of their home. The architect worked with them to stabilize the structure and to design built-in furniture, to incorporate custom art glass and to display their ceramics and vintage textiles. An artist friend laid out the tile work in the kitchen using dozens of color sample tiles from an important mid-century ceramicist, a former neighbor of the clients.